A stunning Van Cleef & Arpels Nécessaire from 1928. By chance I saw an ad for the L’École Van Cleef & Arpels that will be taking place in New York City June 4-18, 2015 at the Cooper-Hewitt Smithsonian Design Museum, one of my favorite museums in the city. It is open to the public and features some amazing-sounding classes like “The Universe of Gemstones” and “Art History of Jewelry,” which contain interesting topics within each course such as “Discover the Jeweler’s Gestures,” and “The Story of Talisman Jewels.” Unfortunately, at $720 and $360 each, they are too much for me (I’d rather save that money for a piece of jewelry from Van Cleef & Arpels), but I was excited to learn that they are holding FREE lectures on a variety of topics related to jewelry, all to be held at the museum. Space is limited and reservations are required. 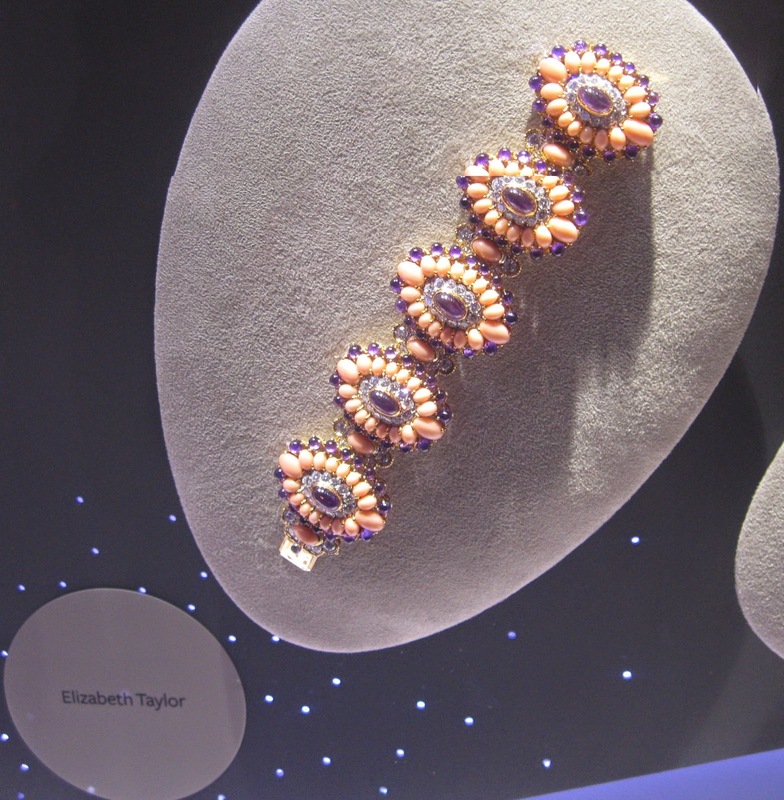 A 1971 coral, diamond and amethyst bracelet once owned by Elizabeth Taylor, a gift from Richard Burton. I’m signed up for the lecture “Great American Jewelry Collectors, Then & Now,” about ladies who created world-class collections of jewelry (I hope they include Elizabeth Taylor in this roundup!) and “Jewelry as Character: Plot & Personality,” about jewelry in films such as Gentlemen Prefer Blondes, To Catch a Thief, and Breakfast at Tiffany’s. 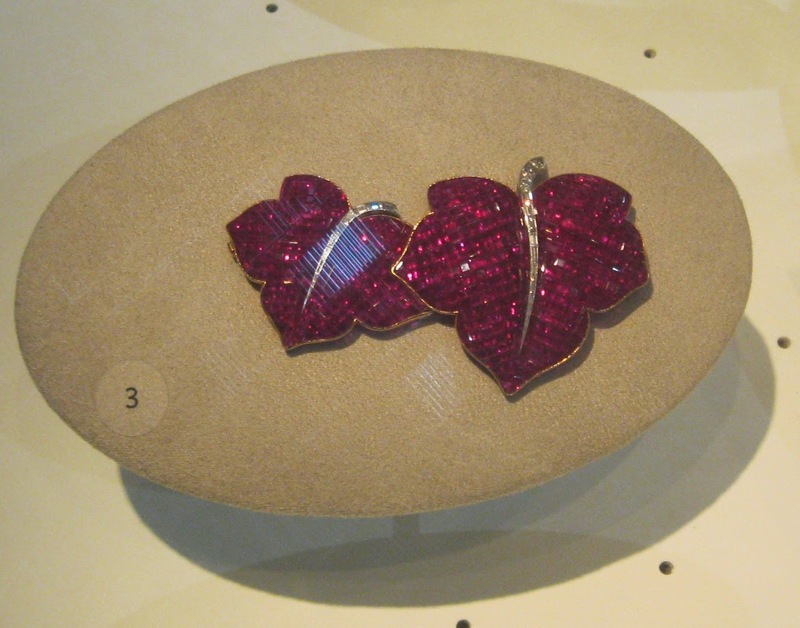 A mystery-set leaf brooch of rubies and diamonds in platinum and yellow gold, circa 1936. I weep! 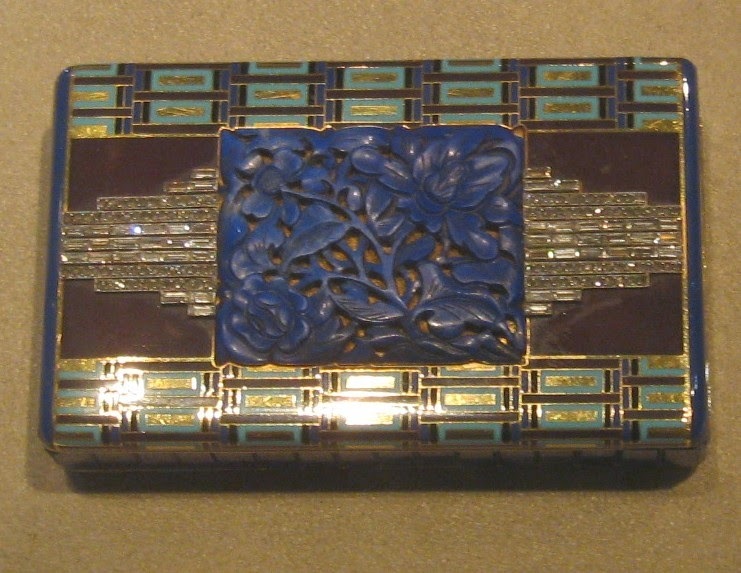 I still dream of this 1925 Art Deco bracelet once owned by Consuelo Vanderbilt. A Van Cleef & Arpels school! It’s like the universe knew just what I needed just when I needed it! 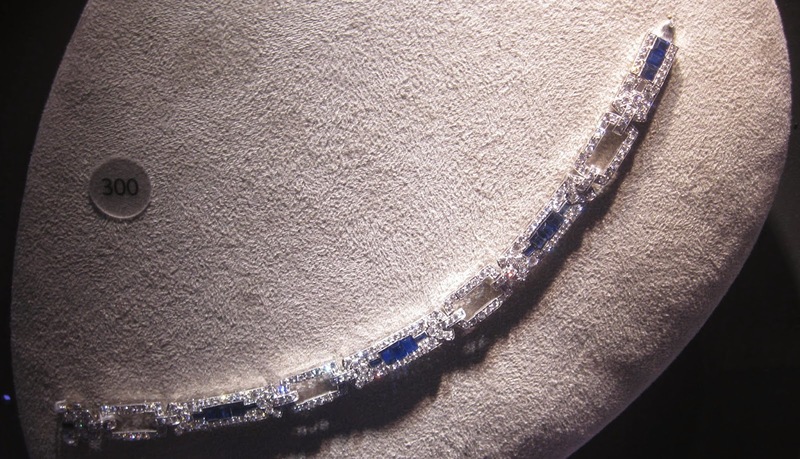 These pictures are a few of my shots from the 2011 exhibit Set in Style: The Jewelry of Van Cleef & Arpels, also at the Cooper-Hewitt and easily one of the best exhibits I have ever seen. 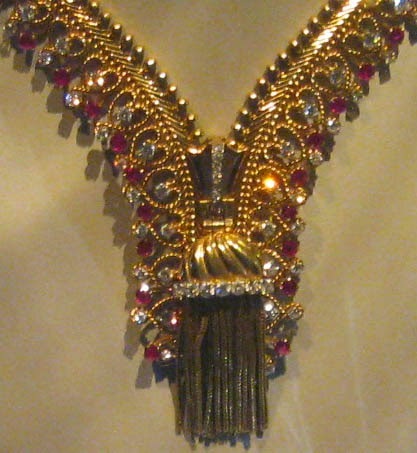 Zip necklaces and extensions from 1952 and 1955, from an idea partly conceived by the Duchess of Windsor. Let me know if any of you jewelry-loving babes out there are attending any of these lectures or even taking one of the classes. If so, I want to hear all about it! Detail of the necklace, which zips to become a bracelet! You can get more information about the entire program here. If you are specifically interested in the Evening Conversations click here.